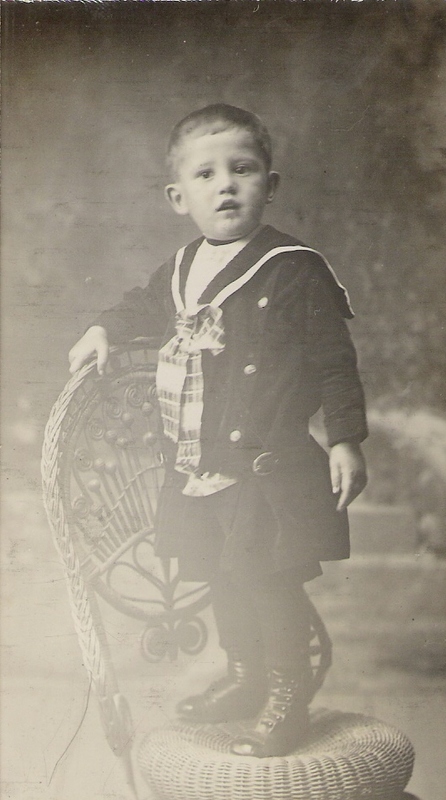 (CLICK ON THUMBNAILS FOR A LARGER IMAGE). 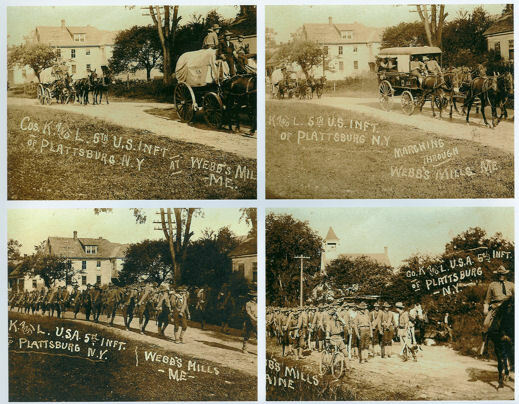 These photos were taken c. 1916 in Webbs Mills, Casco. The building in the background with the steeple is the Webbs Mills Schoolhouse. 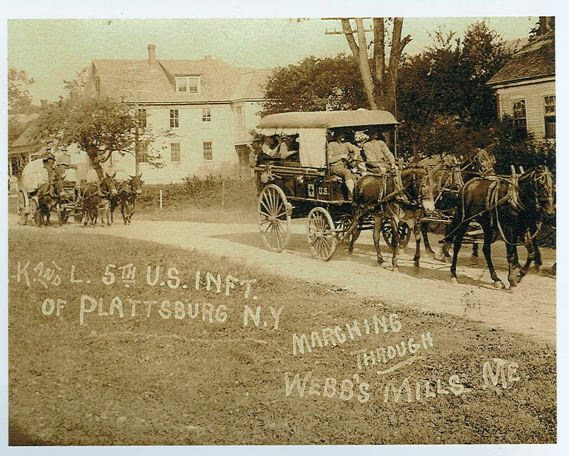 The pictured men were part of the Plattsburgh Movement (1913-1920), which began before World War I. 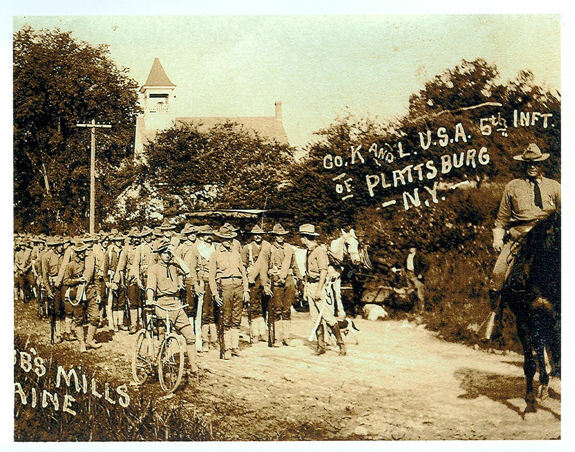 Organized in Plattsburgh, New York, its purpose was military preparedness and for the training of potential U.S. Army officers. 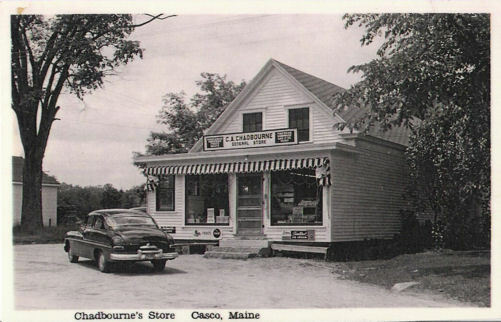 Wayne Lewis of Casco kindly gave the RCHS copies of two postcards, circa 1935 and 1950, of the Casco Village store—then known as Chadbourne’s Store. 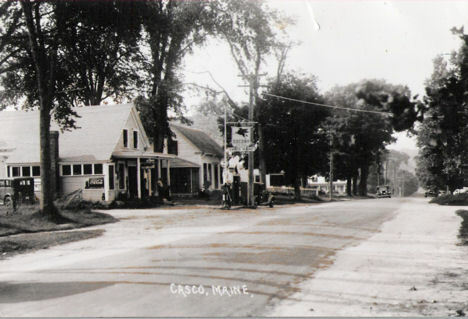 In 1952, Curly Redmond purchased the business and by the 1970s, the store was known as the Casco A.G.
Louise Knapp of Gray generously donated three original photographs of the Tukey family to the RCHS. 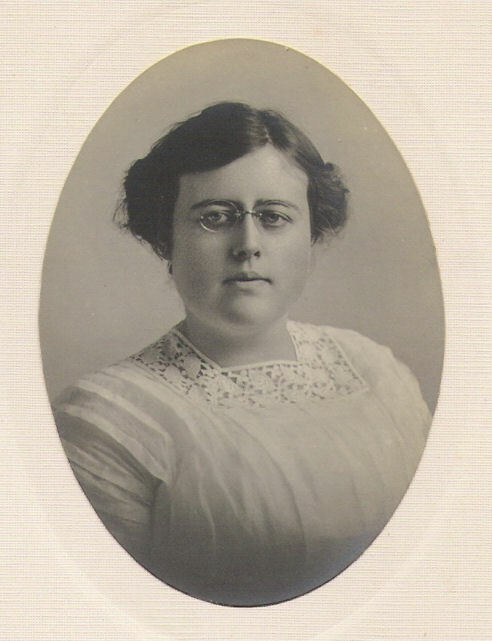 The pictures, from left to right, are of Marion Tukey (1893-1981); her brother, Oscar Tukey (1905-1917); and her husband, Dr. Carl Gray (1886-?). 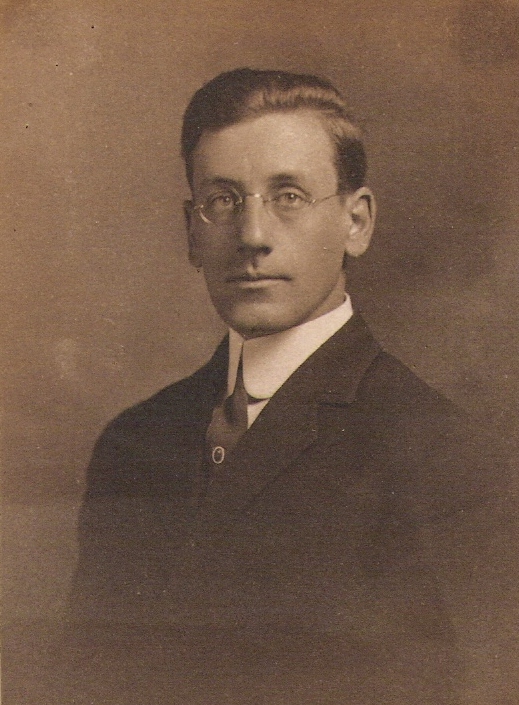 Five generations of the Tukey family lived in Raymond Village and most were buried in Raymond Village Cemetery. 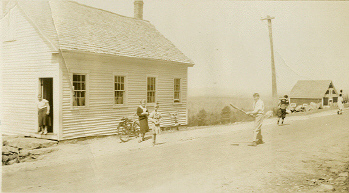 Friends Schoolhouse on Quaker Ridge in the Spring of 1937 (left) and a more recent picture (2008). Sadly, this building and its contents were destroyed by fire in April of 2018. Click HERE to see photos of the house during and after the fire.